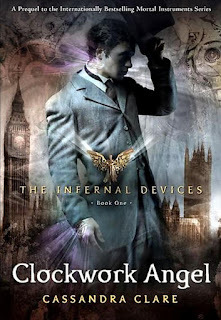 When Tessa finds herself in London's Downworld, in Cassandra Clare's The Clockwork Angel, she soon finds out that all is not as it appears. The Pandemonium Club is full of characters who appear tame but have devilish intents. Tessa's friend Jem helps her to see that it's not what's on the outside that counts, but the flame within. Don't be deceived by the innocent exterior of these cake pops. Inside is a decadent and downright sinful chocolate surprise. These cake pops can be made and served in one day, but I prefer to split it up over two days. It's simple and doesn't feel as time consuming. Day One: Bake the cake according to decorations and cool completely. With your hands, crumble the entire cake into a large bowl. Add the entire container of frosting to the cake crumbs and mix with hands until fully combined. Form the cake into balls and put them on cookie sheets in the freezer overnight. I like to use an ice cream scoop and then roll each ball with my hands. It's really sticky—just wash your hands after every 4 or 5 balls. Day two: Melt the chocolate in a microwave safe container, stirring every 30 seconds until melted. I like to keep the chocolate in a tall plastic cup so that the chocolate is easier to dip. Keep the balls in the freezer, pulling out only 3 or 4 at a time for dipping. Dip one end of a sucker stick in the chocolate and then push it into a ball. Immerse the ball in the chocolate and gently tap excess chocolate for a few seconds. This is the hardest part because you have to make certain that the ball doesn't start sliding on the stick and fall off. It will probably take you a few tries before you get it right—darn it, you'll just have to eat the mess-ups. Place the cake pops in a cake pop stand or a piece of styrofoam to allow them to set without touching the chocolate to any surface. Let the pops set for at least 3 hours. This recipe makes a bunch, like three dozen. If you don't want to make them all at once, just store the balls in the fridge for another day. This prequel trilogy to Cassandra Clare's other books can be read by itself without any prior knowledge of the world. 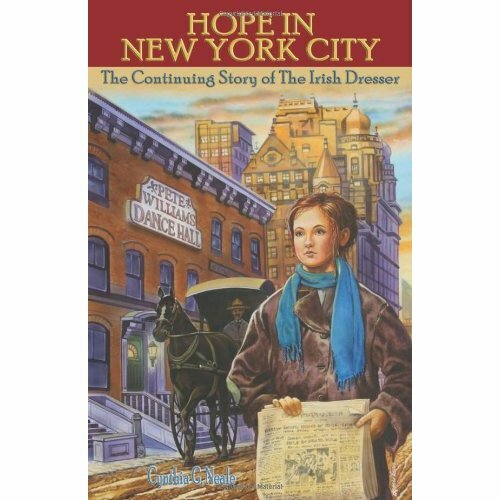 Those who have read the other novels will delight in the allusions and revelations of how things came to be. This book is a bit dark and there are a few scenes I'd rather skip over, but all in all, the book is a clean adventure romance. Set in London, this steampunk fantasy pulls you into the inner workings of secret societies. Tessa's relationships with Will and Jem are exciting to follow. Will is secretive and conflicted, while Jem is sweet and understanding. The story played out in my mind like a movie. I could see the clockwork army and the vampire claves with vivid intensity. Cassandra Clare has a way of making me feel like I'm really there. Tessa's character arch is fascinating. As she finds out more about herself she changes and grows. I am interested to see how she progresses in the rest of the trilogy. Dark shadows and secret societies inhabit this stunning beginning of a brand new adventure, romance from bestselling author Cassandra Clare. Four of my children snuggled on the couch with me to read I Believe in Jesus Too by Mark S. Nielsen. We love the beautiful illustrations and the simply, yet powerful message. 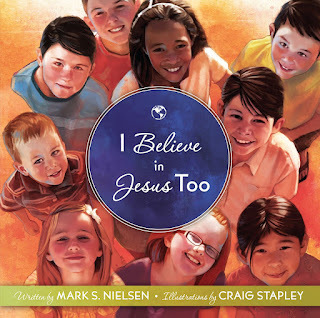 The book focuses on the fact that children all over the world believe in Jesus. The pages go on to tell how children the world over go to church, read scriptures, say prayers and get baptized. It was fun to see what my kids said as we looked through the book. For instance, my five year old daughter asked, "Where is Jesus in the book?" Then she flipped to the front cover and said, "Oh, they are all looking at Him!". When we opened the cover, the inside shows a map of the world with photos of children from all over who believe in Jesus. My ten-year old noticed that Hawaii is not shown on the map. When I looked closer, I could see a faint outline of what I think is Hawaii, but I was amazed at how observant children can be. With it's sweet message and lovable illustrations, I Believe in Jesus Too will be a lovely addition to your family's library. What's worse than getting dumped? Not even knowing if you've been dumped. Joy got no goodbye, and certainly no explanation when Zan - the love of her life and the only good thing about stifling, backward Haven, Utah - unceremoniously and unexpectedly left for college a year early. Joy needs closure almost as much as she needs Zan, so she heads for California, and Zan, riding shotgun beside Zan's former-best-friend Noah. Original and insightful, quirky and crushing, Joy's story is told in surprising and artfully shifting flashbacks between her life then and now. Exquisite craft and wry, relatable humor signal the arrival of Emily Wing Smith as a breakout talent. This book has a different style to it. I like how it bounces around from past to present--just like a teenager who has lost her boyfriend and doesn't know why. Joy is in love with the idea of being in love, aren't we all? Her voice is natural and easy. She makes lists and gives asides that provide insight. The short, entertaining chapters of the book make it a quick read. The progression from Joy's obsession with a boyfriend she things she knows to discovering what has beer there all along is handled expertly. When the romance plays out in the end it is all the more sweet and fulfilling. The setting is a small Mormon community where certain things are expected. 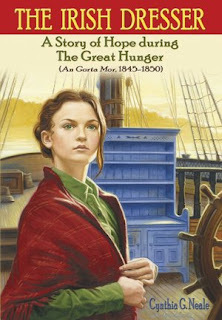 The author used the backdrop as a parallel to the main theme of non-conformity. On the journey, I learned with Joy that not everything is how it appears and I can do something because I believe in it, not because someone thinks I can believe in it. 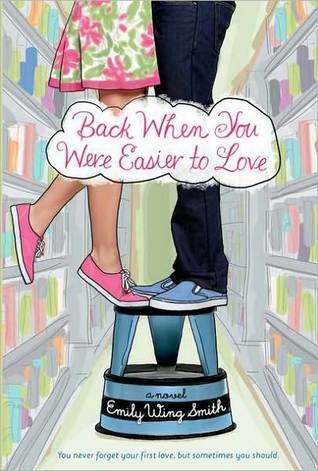 Joy is in love with the idea of love in Back When You Were Easier to Love, by Emily Wing Smith. She is so busy chasing after the boy that she thinks she needs that she almost misses the loyal friend that is right in front of her. Pizza is the ultimate meal for a road trip, and Joy and Noah share a pizza together on theirs. Just like Joy’s journey, this chicken alfredo pizza is full of surprising tastes and flavors. Brew the yeast in the warm water until foamy. Add flour and salt and mix until the dough is smooth. Let the dough raise for 30 minutes. Preheat oven to 375 degrees. Roll out the pizza dough. Let it sit for ten minutes and roll the dough out again. Apply the olive oil to the top of the pizza with a pastry brush and sprinkle the garlic on top. Cook the crust for 5-8 minutes, being careful not to brown it. Allow the crust to sit for a few minutes. 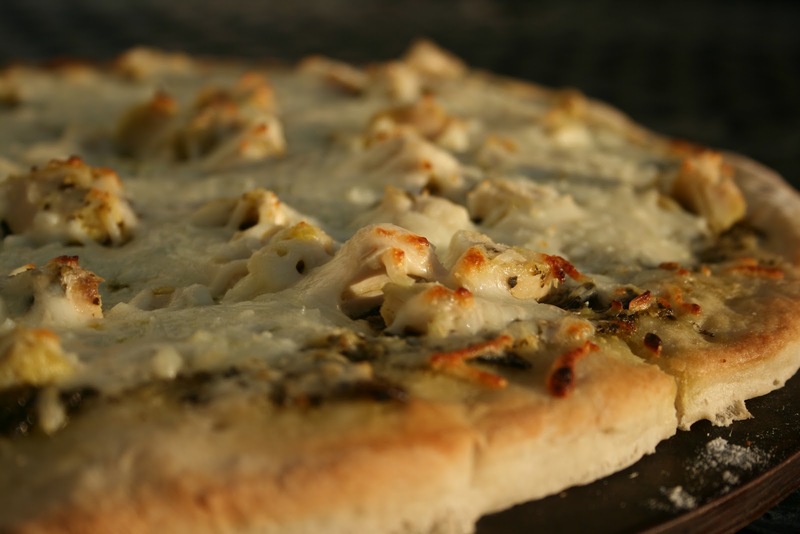 Spread the pesto over the surface of the pizza, leaving 1/2 space from the edges. Evenly distribute the chicken cubes on the pizza, followed by the mozzarella cheese. Sprinkle with parmesan cheese as desired. Put the pizza back in the oven and cook for 10-12 minutes or until the cheeses are melted. Serves 4-6. 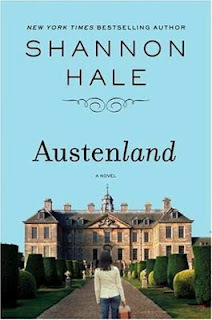 When Jane, in Shannon Hale's Austenland, is immersed by the regency era romantic setting that she always dreamed of, she is pulled between her fantasy and reality. A quick root beer drinking fling with the "gardener" is just what she needs to ground her and help her see what she really wants. Root beer stars in this cookie recipe that will remind you of summertime root beer floats. Cream butter and brown sugar in a large mixing bowl. Add the eggs, buttermilk and 1/2 teaspoon root beer extract. Add the flour, baking soda and salt. Mix well. Stir in walnuts. Drop by tablespoonfuls onto ungreased baking sheets. Bake at 375 degrees for 10-12 minutes until lightly browned. Place on a wire rack to cool. Combine the frosting ingredients and beat until smooth. Frost the cooled cookies and watch them disappear! Yields about 5 dozen cookies. Kira discovers that her friend Lydia has been keeping secrets from her, secrets that will affect who she is, who she becomes and who she loves. When she meets Octavian, in Bound by C.K. Bryant, Kira is drawn to, and repulsed by his explosive personality. Octavian shares his own secret with Kira, and her life is forever changed. These pork ribs are a dish that Octavian would approve of. Thanks to my brother-in-law for sharing his secret ingredients. Roll up your sleeves and get ready to dig in. Combine the dry ingredients in a large mixing bowl. Cut the ribs into manageable sections and apply the dry rub liberally. Pour liquid smoke and and water into the bottom of the broiler. Place ribs on top of the broiler. Cover with aluminum foil and bake for 3 hours. Check it a few times to add more water to the bottom of the broiler as needed. Allow to cool and then wrap in aluminum foil and refrigerate until ready to grill. Grill with meat side face up until heated through and then flip. Baste with barbecue sauce and grill until the sauce forms a glaze. Repeat on the other side. Serve immediately. When a photo shoot ends in tragedy, Kira discovers her best friend, Lydia, has been keeping a secret. 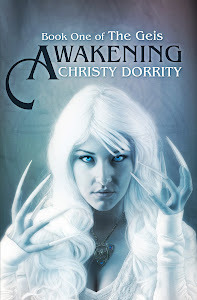 Knowing the truth, and accepting it, will change Kira’s life forever and thrust her into a world of ancient curses, magical objects, and savage enemies. What happens next will challenge everything Kira knows about her world, herself and the shape-shifting warrior she’s falling in love with. No longer the timid mouse her mother accused her of being, but a woman who finds the mental and physical strength to endure and survive. 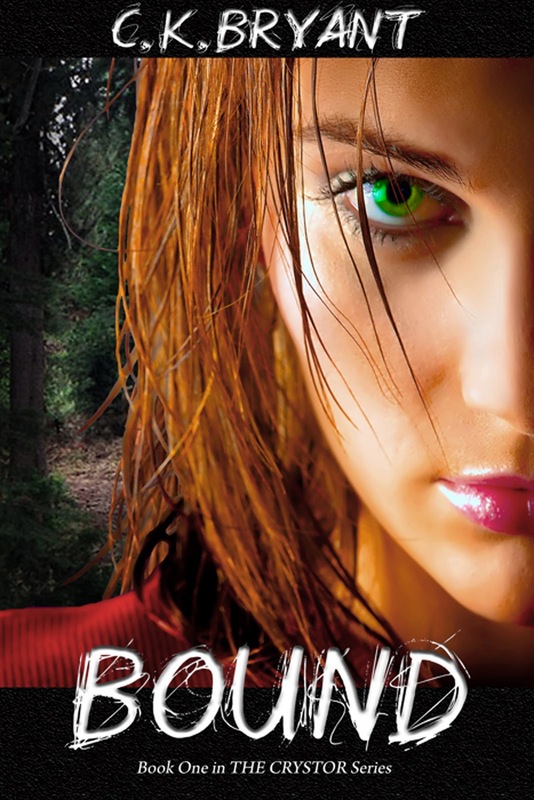 BOUND is a heroic tale of true friendship, infinite sacrifice and untamed love. I loved all of the folklore that describes how the cat men came to be. There were cool magical items, a fascinating magical world and a girl who learns that she has her own magic inside. The idea of an ancient race of people who are part man/part wild cat is exotic and mysterious and there is plenty of material there for the author to play with. I am fascinated by Lydia and her second spirit, Altaria, and how they inhabit the same body and both fight for dominance and peace with each other. What Bryant does later on with Altaria is surprising and I'm intrigued by what will happen in book two. Octavian's aversion to Lydia's scent reminds me too much of Twilight and I just couldn't bring myself to ever fear for her safety. I like the dynamics of Kira and Octavian toward the end of the book. In the beginning the conflicts between them made me dislike Octavian. he was thoughtless, violent and selfish--opposite of the loyal, and careful companion he is later. 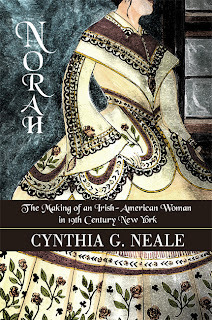 As a self-pubbed ebook, Bound is very clean and there were only a few minor copy write errors. 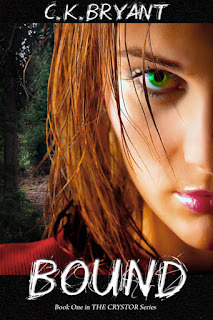 Bound is a fresh paranormal thriller grounded in fantastic folklore. Get a load of these teachers: "Ms. Fang," an 850-year-old vampire "Dr. Dragonbreath," who just might eat you before recess "Mr. Snakeskin"--science class is so much more fun when it's taught by someone who's half zombie "Mrs. T"--break the rules and spend your detention with a hungry "Tyrannosaurus rex"
The narrator's an eleven-year-old ghost Join Charles "New Kid" Nukid as he makes some very Scary friends--including Petunia, Johnny, and Peter the Wolf--and figures out that Scary School can be just as funny as it is spooky. 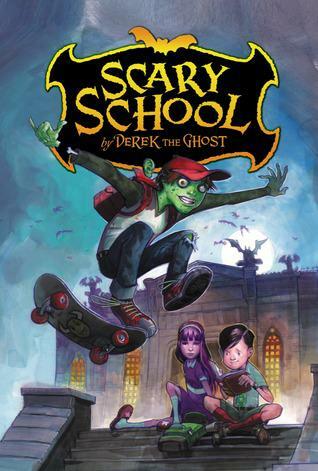 Scary School is such a fun ride. You have to just let your hair down and hold on when you read it because it is wacky and zany. It fits right in with the middle school set with odd ball characters, crazy happenings and the threat of death is eminent. One of my middle schoolers will not pick up this book because he thinks it will be too scary. LOL! My other middle schooler gets it. He thinks it is hilarious. The humor is off beat and fun. 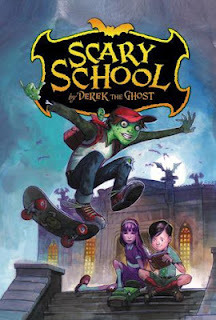 The danger in the book teeters on the edge of strangeness, but that's why I think middle schoolers are going to love it! The second book, Monsters on the March will be released June 26th--mark your calendars!